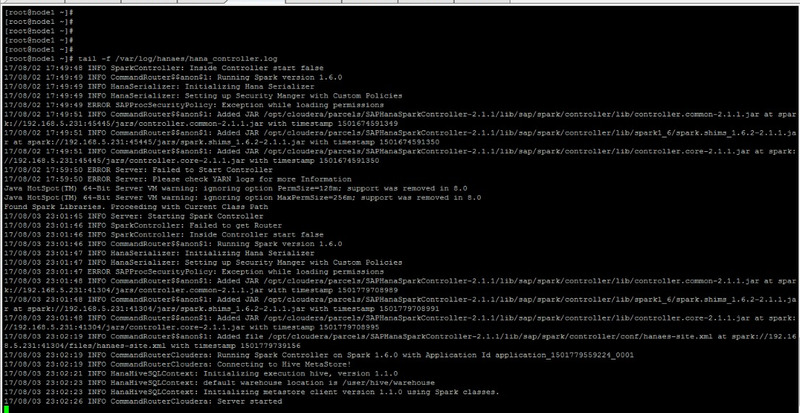 I want to set up SAP HANA Spark Controller 2.0 SP02 PL00 using Cloudera 5.9, Spark 1.6, JDK 8.0 and Vora 1.4 Patch 2. According to product availability matrix this combination should be compatible. For the purpose of HANA Spark Controller Installation I am following installation guide Hana Spark Controller 2.0 Installation Guide_SP02_PL00.pdf. 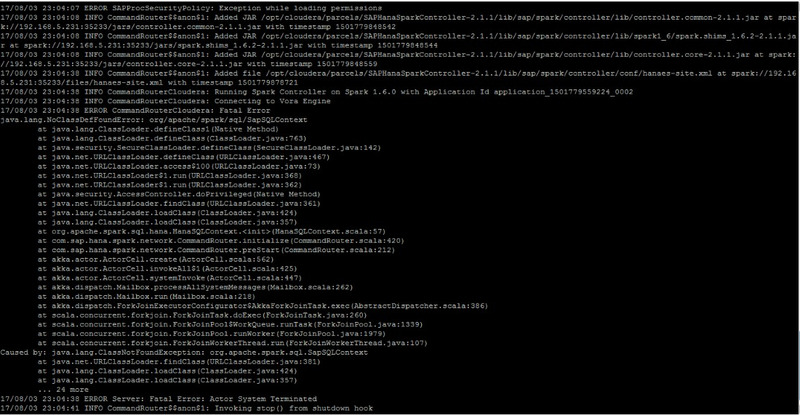 Is it some kind of Java Exception Error? Can you please advice, how I can resolve this error? Also, if you are using the Vora new relational engine or the disk engine with 1.4, you might investigate using SDA directly from Hana to Vora with a voraodbc connection. This is documented in the install/admin guide for Vora 1.4. Then you would not need the Spark Controller at all.